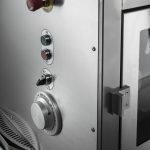 A pizza dough divider rounder makes light work of accurately cutting dough portions to your required weight and then kneading and rounding the dough portions. 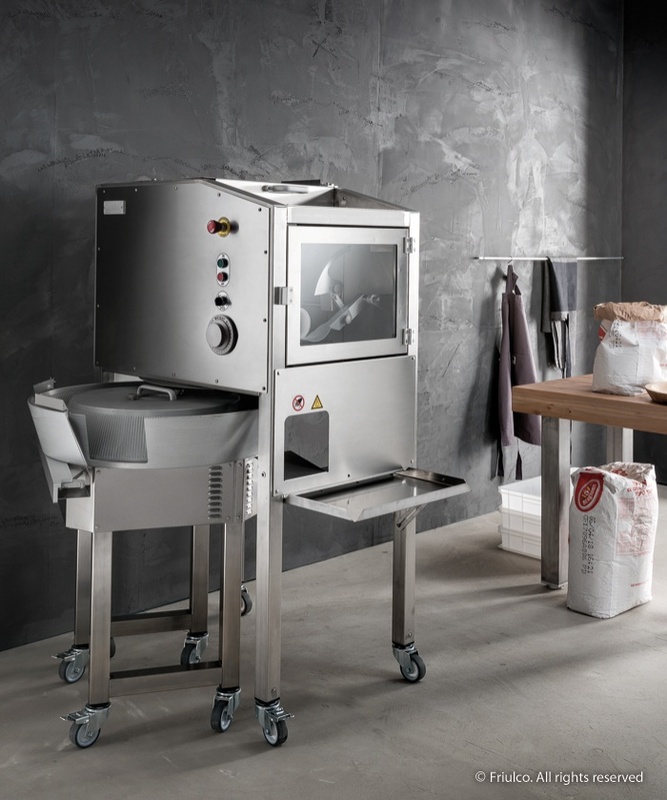 Capable of making up to 1200 portions per hour, the FriulCo M48 will dramatically reduce dough production time, reduce product handling, improve consistency and effectively save your business money. 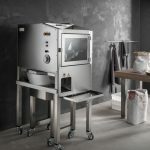 Easy to use, you simply take your fresh dough, load it into the 44ltr hopper and dial in the dough portion size required. The dough portions are cut to size and rounded, all ready to rest. 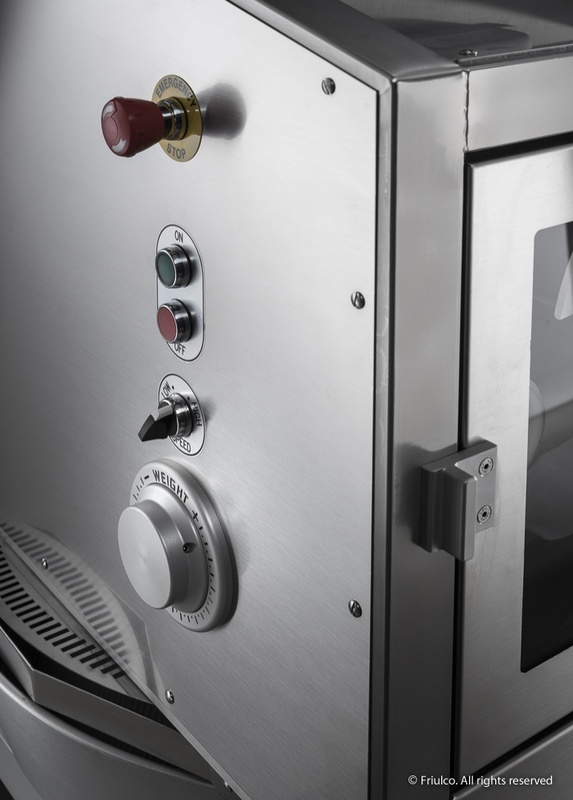 The M48 is also suitable for bakery applications. 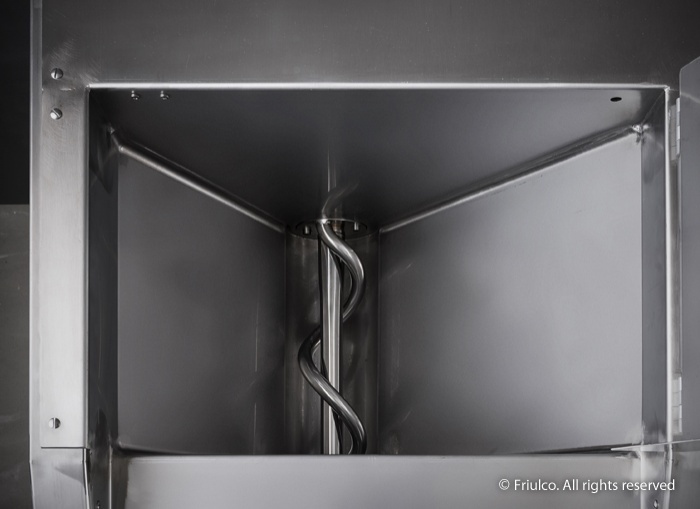 New generation pizza dough divider rounder M48 from FriulCo (100% Italian made). 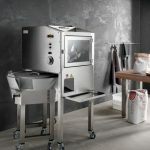 Dramatically reduces dough production time by automatically scaling to size, cutting and rounding dough portions. 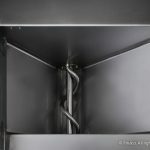 Works with pizza and bread doughs and other doughs such as piadina, chapati, focaccia, etc. 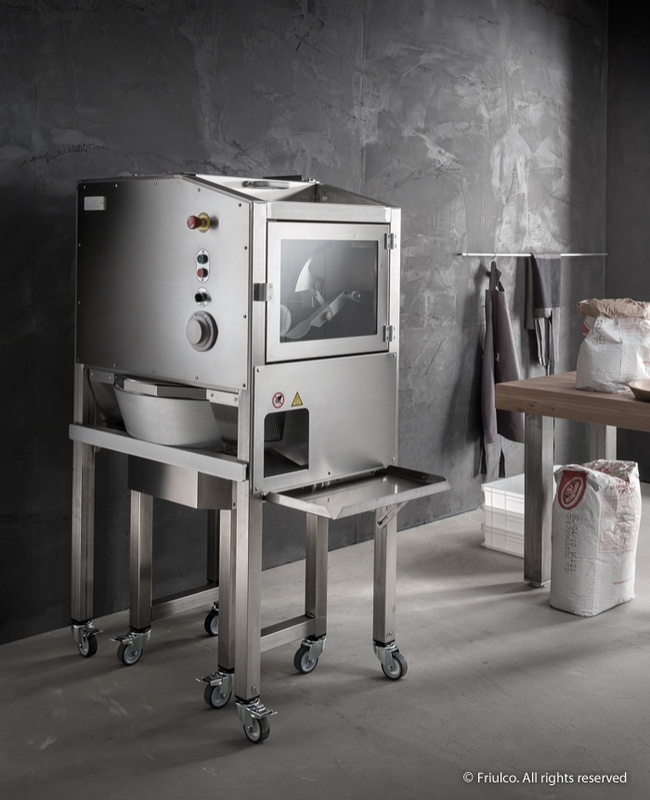 Large capacity 44ltr dough hopper with front loading and front dough delivery. Delivers up to 1200 portions per hour. Electronic sensor automatically activates cutting knife. 180g – 650g portions with standard cone / 65g – 250g portions via optional cone. Interlocked circuit with 4 x safety switches and emergency stop. 1650 watt 240 volt 10 amp plug. Click here for more product information and operational video.